Altior is now one short of Big Buck’s record for consecutive jumps wins – but what did you make of his Clarence House Chase performance? My Monday Night racing colleague Jamie Lynch and I discussed his runaway win on Sky Sports Racing this week and decided that when you witness a performance like that it’s natural for it to be scrutinised and picked apart. Altior jumped markedly to his left at Ascot at times, but who can blame him? He didn’t have anything to race against and it’s difficult to criticise given that he had nothing to keep him honest. He looked good to me and I can’t see anything stopping him equal the record held by Big Buck’s of 18 wins in the Champion Chase at the Cheltenham Festival. Jamie also said on Monday that he is invulnerable, meaning impossible to harm or damage, and whilst that is a brave statement to be making about an animal, I’m inclined to agree. I think he will become vulnerable if and when he is stepped up to three miles, maybe in the King George next Boxing Day. 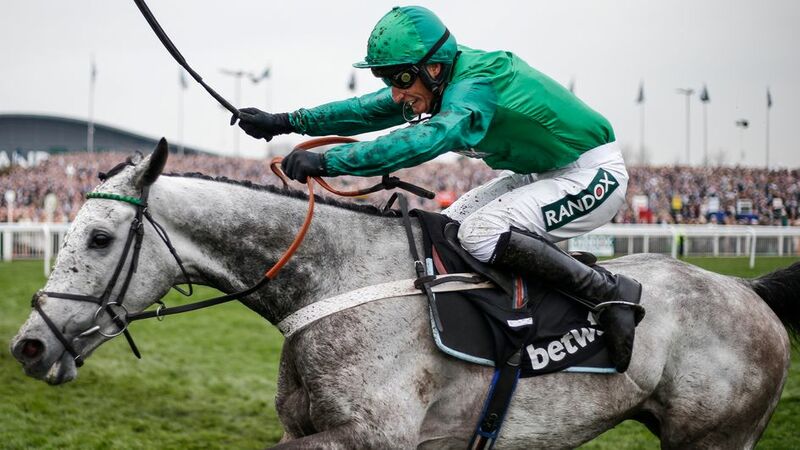 Incidentally, he is already Sky Bet’s 5/1 joint favourite for the Christmas showpiece alongside current victor Clan Des Obeaux and he’s 2/5 to win another Champion Chase at this year’s Cheltenham Festival. Mister Fisher won the Sky Bet Supreme Trial at Haydock – how big a player would he be in the big race itself? Well he’s now Sky Bet’s 8/1 joint second favourite and that looks a fair reflection of his chance. His stablemate Angels Breath is the 5/1 favourite and we are none the wiser about Nicky Henderson’s first string as he missed last weekend’s race as his trainer has a few horses under the weather and quite rightly isn’t going to run anything unless it shows itself to be 100%. Mister Fisher clearly isn’t one of them and he did what was required, albeit he probably idled a bit once he got to the front. This is a race that has thrown up smart horses in the past and there’s no reason to believe that this horse doesn’t fall into that category. Nicky Henderson is in an enviable position going into the race and I can’t wait to see how Angels Breath gets on next time we see him. It’s Festival Trials Day at Cheltenham on Saturday – what do you like in the Cotswold Chase? Minella Rocco is turning out to be a bit of an enigma, but I’m excited to see Jonjo O’Neill’s high-class chaser back on track after almost a year on the side-lines. The 2016 NH Chase winner has been a bit frustrating to follow since that Cheltenham Festival triumph and it seems hard to believe that he hasn’t won a race since. Not that he hasn’t run some incredible races in defeat, he was runner-up in the Gold Cup to Sizing John the following year, but we haven’t seen him since he crashed out in the Irish Gold Cup in February 2018. He’s lightly raced for a nine-year-old with just 15 starts to date, but is dangerous to write off, although I’m happy to watch on Saturday to see where we are at with him. He’s had a wind operation during his time off, but may be a touch ring-rusty against some race fit rivals. One of those rivals is Frodon who has struck up a love affair with Cheltenham and has an incredible rapport with jockey Bryony Frost. He’s Sky Bet’s 2/1 favourite, is improving and is very tough, but he’ll need to be as he is conceding weight to all the other runners. He steps up to three miles one and a half furlongs for the first time on Saturday, which is interesting as the Ryanair Chase had been mentioned as his likely Festival target, although it seems the Gold Cup could now be in the picture if he proves his stamina. Given his prominent running style, I’m inclined to take him on at the price. Valtor is an interesting French recruit that has been bought for the Grand National, so with him and the likes of Welsh National winner Elegant Escape and Minella Rocco in the field it’s sure to be a real test of stamina. Terrefort deserves another chance to prove he is the real deal after disappointing behind Elegant Escape at Sandown in November. He apparently suffered an injury that day and he could easily bounce back. 7/2 may seem short enough for a horse that finished virtually pulled up on his previous outing, but I’m happy to have Terrefort on side as he’s a young improving horse with bags of potential. What else are you looking forward to seeing at Prestbury Park? There are a couple of horses I’m particularly looking forward to watching at Cheltenham. Kayley Woollacott has been doing very well with her runners recently and she saddles a horse called The King’s Writ in the 2 mile 4 ½ furlong grade 3 handicap chase. He isn’t guaranteed to get in the race, but if he does he will carry a light weight and as an improving chaser 8/1 looks an attractive price. He has had a couple of mishaps over fences, but looked good at Exeter last time out and is unlucky not to be on a four timer having fallen at the last at Chepstow the time before when looking like the certain winner. I’m a huge fan of Olly Murphy and his novice hurdler Brewin’Upastorm. 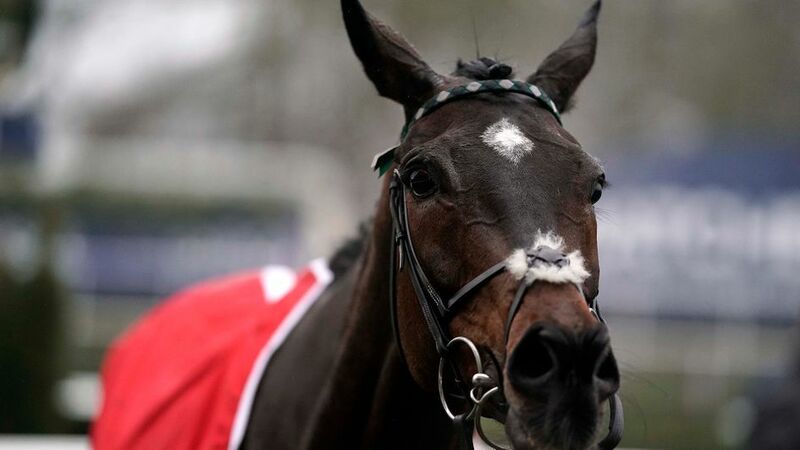 I can’t see him beaten in the Ballymore Novices’ Hurdle and at 5/2 third favourite with Sky Bet he’ll do for me. I’m praying that Sam Spinner puts in a clear round and gets over his hurdling demons in the Cleeve Hurdle. Why on earth he has started to put the anchors on going into his obstacles is a mystery, but he has schooled well since and if he can recapture his enthusiasm he should be capable of running a big race. His trainer Jedd O’Keeffe is in good form and 12/1 is a huge price for a horse capable of winning this race and could be each way value. Saving the easiest to last…what’s going to win the Sky Bet Chase? Well, I can’t wait for this race as I’ll be heading up to sunny Donny for the first time in donkey’s years to broadcast live from the track. As a Yorkshire lass I love heading back up north when I get the opportunity and I’ve enjoyed some superb days on Town Moor over the years. If you’d told me as a teenager that I’d be covering the meeting in the future for Sky Sports Racing I wouldn’t have believed you. Living the dream! Dingo Dollar comes into the race off the back of a very solid effort having finished third in the Ladbrokes Trophy (formerly the Hennessy), but trainer Alan King isn’t certain to run him unless the ground eases at Doncaster before Saturday. He’s the sponsors’ 11/4 favourite, but if you fancy him, hang fire and see what King decides, although it looks promising as officials are watering and there is rain forecast before the weekend. With Sky Bet paying four places it looks worth trying to find some each-way value in this three mile Listed handicap chase. Willie Boy just about falls into that category at 10/1 and if he can jump like he did when cruising home at Wetherby last time out then he’s in with a squeak. He is still improving having just had the eight starts over fences and the cheekpieces seem to have sharpened up his jumping. Gavin Sheehan rides for trainer Charlie Longsdon.